The concept of sustainability has gained momentum in geotechnical and geoenvironmental projects that has direct or indirect influence on ecological balance and environmental management. Utilizing sustainable materials, preferably biomaterials, and improving its durability by minimizing degradation with time needs systematic interdisciplinary research. This paper discuss about bio-geotechnical interface where biomaterials are used as amendment for robust and self-sustaining green infrastructure. The need for bio-geotechnological advancement for catering to the research questions related to the use of appropriate biomaterials as soil amendment, green infrastructure, and bioengineering, vegetation for soil and water conservation, local flora for mitigating climate change is highlighted. The need to integrate the realms of geotechnical and biotechnical discipline for this purpose has been brought forth. 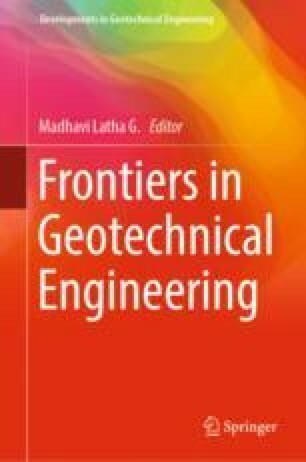 The paper further summarizes the future direction of research for planning and executing bio-geotechnical interventions for sustainable geotechnics.